With 100 years of expertise in luxury fine writing craftsmanship, Sheaffer® unleashes a titan that is head and shoulders above the crowd. 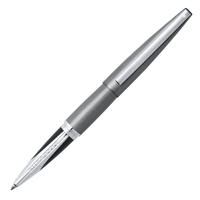 Designed by renowned U.S. architect Charles Debbas, the groundbreaking pen named after the Celtic God of Thunder embodies aerodynamic power and sleek style. Sheaffer® Taranis™ offers five striking finishes that together, personify the Celtic God of Thunder. All modes are refillable for continued writing enjoyment.